Every organisation or business has its own set of challenges to face and technology used to overcome them. Point-of-Sale devices and software allow you to provide quick and versatile service. Security cameras and programs allow you to keep customers and the organisation safe. But most organisations don't realise that the challenge of managing queues can also be handled with the clever application of technology. Queue management is a challenge faced by the vast majority of thriving organisations as demand for service exceeds your service centre's ability to provide. However, this doesn't mean that backed up lines and grumbling customers is 'the norm' or a problem that can't be solved. Queue management technology can help you reduce both the actual and perceived waiting time for customers, improve customer satisfaction, and provide the data your managers need to further optimize the service experience. The first sign that your service centres are in need of queue management is, naturally, if you have queues. And we're not just talking one or two people waiting politely for an available associate. We're talking queues that start to congest the normal walking paths. Queues long enough that someone who needs quick non-queued service steps into the queue anyway because they think the entire business is backed up. If your queues are turning into congestion, it's time for a solution. If your queues have ever hit the door, the problem is already fairly serious. Many organisations accept queueing as a natural part of the ebb and flow of customers. The key is to know when you have passed from 'acceptable' to damaging your company image and customer relationships. Most people will put up with a short wait for service if they come during a busy time but when you start to hear complaints or muttered grumbling in the line, dissatisfaction is brewing. Now with social media this dissatisfaction can be widely broadcast before the person has even been served! If you have ever seen a customer jump out of line to leave your service centre, your queues have begun to lose you business. Peak periods are the times during the day, month or year when the most customers arrive and queues begin to form. Businesses on the ball with queue management know when these times are coming and will often reassign staff to open more service desks. This allows you to serve more customers at once and significantly reduce the depth and wait time of each individual queue. However, if you can't predict your peak periods, you are likely to get slammed with only one or two service desks or counters open and the queues can quickly get out of hand. Another clear sign that you need active queue management solutions is when your staff members are seeing very different queue workloads though multiple channels are open. In many cases, one or two queues will become much longer than others, sometimes to the point of obscuring access to the shorter queues and customers are drawn like particles to a black hole to the longer and more unpleasant wait. 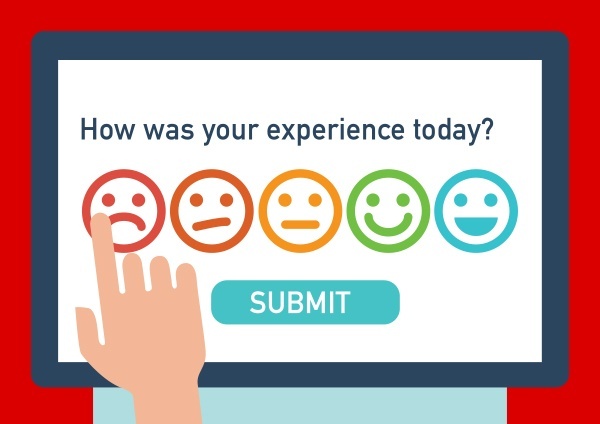 This is not only bad for customer experience, it also slams some of your staff while leaving others wondering how to help. If your queues are unbalanced, you need a solution to help customers determine the right choice of queue for a more even distribution of services. A queue management solution can tell you why some queues are longer than other. By knowing which services your customers will need, organisations can ensure that staff with the right training to help are rostered and ready to even out the service requirements of your queue. Most organisations try to handle their queuing problems manually, often with a staff member given an emergency task to stand near the entrance or the queues to direct customers in a hopefully helpful manner. Management are shooting from the hip and without real-time and historical data, are unable to predict service requirements, manage staff effectively or analyse service delivery. This lack of transparency will ultimately impact the customer and staff experience and have a negative impact on the bottom line. If you found yourself nodding along to one or more of these signs, your business is at least periodically getting swamped with customers and you don't have the solutions in place to smoothly handle the situation. Fortunately, with queue management technology, you can resolve each of these problems with a comprehensive solution managed mostly through workstations and mobile devices. Queue management can help you track the data on peak congestion periods letting you know when to open new channels and when to help customers find the right queue, then provide data for analysis and strategy later on. It can also be used to connect directly with customers on their mobile phones to give them an idea of how long the wait will be and which service channel they should seek for an ideal experience based both on your current ability to serve and their individual needs. Finally, a queue management system doesn't just focus on the entire queue, it can keep track of every customer interaction so that management can know exactly how long people have been waiting. It registers how long each customer waits, how long service interaction is taking, and what services customers require in their journey. All in real-time so that managing action can be taken to improve customer experience and determine what is needed from the staff in terms of training and preparation. Is your business in need of queue management technology? If so, implementing the right solutions could be the best thing you do for your customer experience this year. For all you need to know about Queue Management, click here.